NOTE: I removed these image thumbnails because I removed the photos from my gallery. I wound up selling the lights on eBay because they shine too far up. I really wanted a narrower beam. When I upgraded from the 2003/2004 bumper cover to the 2005/2006 bumper cover, I was disappointed that the fog lights are not useful as driving lights -- they are floods, rather than spots. 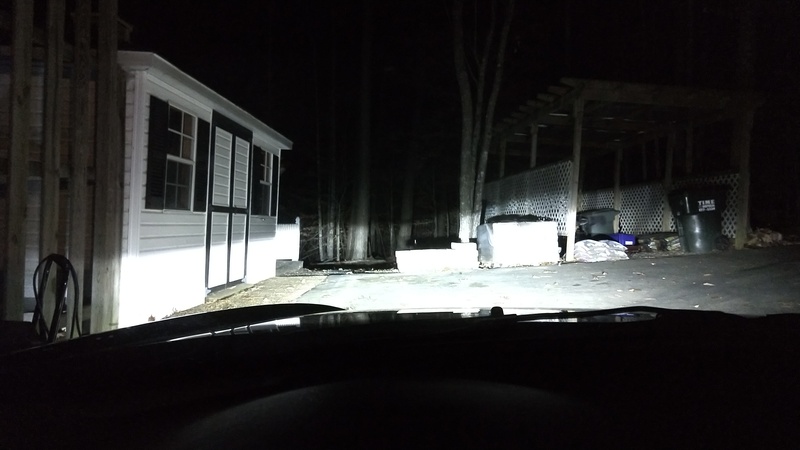 My current project is installing a pair of 50 watt 20 degree spots to use for driving lights. My intention is to wire them up to the fog lights, so then all four lights come on at once. I am putting them behind the lower grill, because they are ugly, so I am going to lose some light output. I am hoping that it will still be a useful amount of light on these dark central Virginia back roads. Code Air, Charlie-III and KelConquer like this. Lights are installed. They are supposed to be 20 degree spots, and I guess they are, but they are still not a tight enough beam for me to use when there is anyone else on the road in front of me. Still, they are insanely bright, so I'll keep them and use them when normal people would use their high beams. 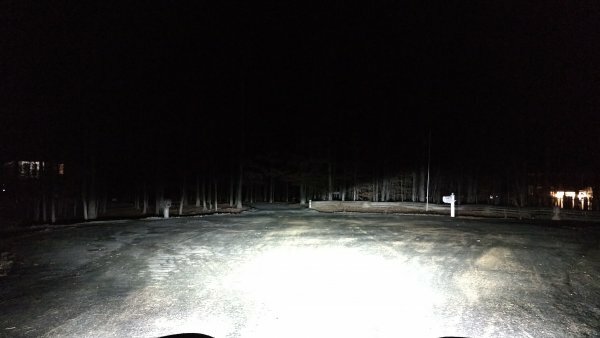 I should have thought to take a photo of the road ahead when I tested them earlier this evening, but I didn't. Maybe tomorrow. My next project is replacing the HID headlights with LEDs, now that LEDs are bright enough to serve as headlights. I'm liking the lighting, congrats. Can you put up a link no for the lights? Yes, link to lights please. Looks great. 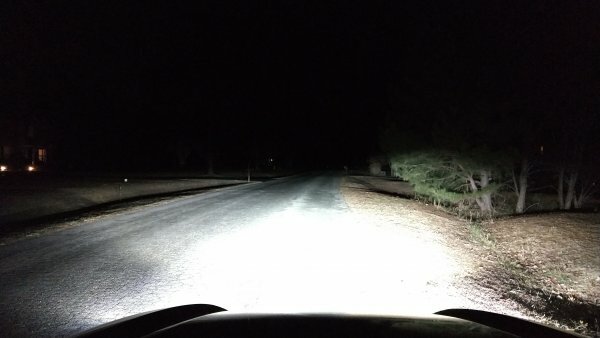 I miss high beams. And what kind of of grill is that? The grilles are black anodized aluminum from Grill technologies, Grille Technologies, Inc. I'd prefer more like 5 degrees, but that's apparently not an option. Ive bought some lights from that seller a few years ago, and they still work, but i didn't have much success with that seller when I tried to get a replacement set of lights under the "one year warranty" I supposably had on them, even though it had only been a couple months. The issue ive seen with quite a few of these cheap LED lights (not sure if the style you have applies) is that they don't have a very watertight seal where the plastic meets the metal, allowing moisture in when the lights cool down, which corrodes stuff, and causes issues. Learning from experience I just run a bead of silicone around the plastic lense on them, and it seems solve the issue. Im not the first person to have this happen it seems. Your words are important...so speak wisely. I was not very happy that the new LEDs had such a wide beam, so I got some new ones from Diode Dynamics that are supposed to have a narrower, or at least flatter beam. 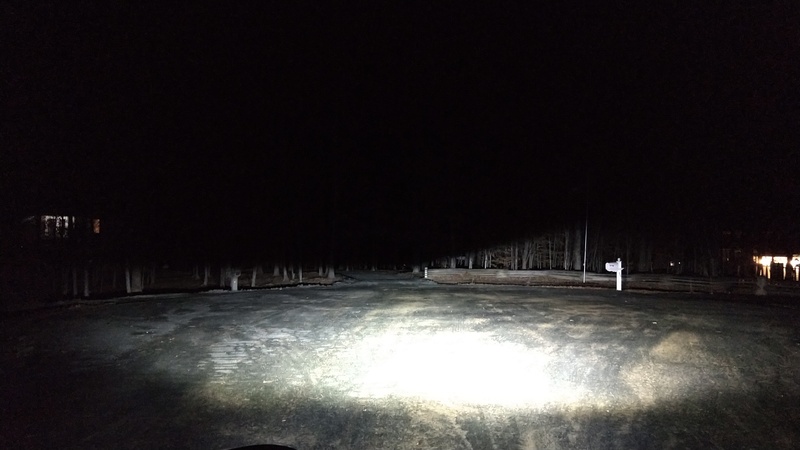 They are already installed, but I will take some photos tonight to compare with the photos of the Cree lights. I'm curious if there will be a visible difference. Way too icy to take photos tonight. I couldn't even get out of the driveway! Maybe tomorrow. Well, I didn't like the Diode Dynamics lights, either. They're crazy bright, but they shine too far up for my uses. Ah, well. I'm selling the Cree lights and the Diode Dynamics lights on eBay, if anyone is interested. 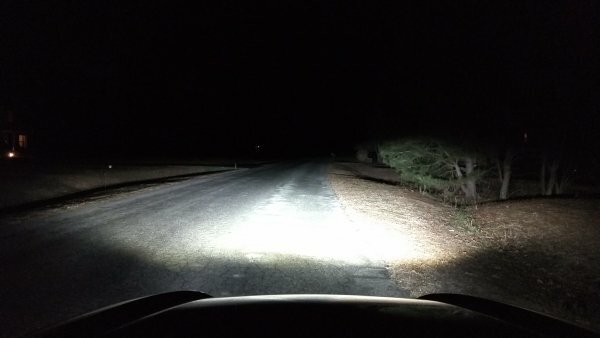 I've installed the LED bulbs for my low beams and fog lamps (links to the bulbs are in the first post). I'm happy with them. It's nice to get rid of the extra fiddly bits that the HIDs required. The fog lamps are aimed low, to avoid blinding oncoming drivers, but they really do help illuminate the road ahead, even though the camera on my phone doesn't show much difference. Last edited by bblackmoor; 01-24-2018 at 03:44 PM. 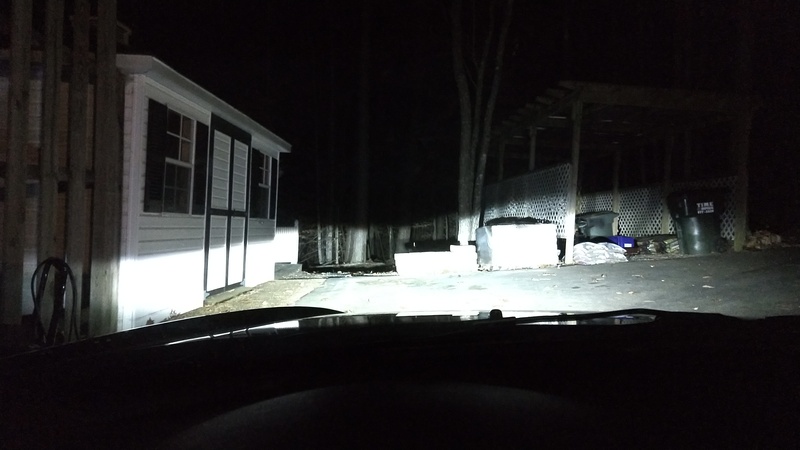 It would be nice to get rid of the extra wires and ballasts that are required for the low beam HIDs. Did you have diode dynamics HID kit? Mine required me to drill a hole into the dust caps on the back of the headlights to fit the larger HID components. Did your new LEDs work with the larger hole or did you have to get new dust caps? The new LEDs have huge heat sinks, so I don't have dust caps anymore. Well what do you know. Looks like I am going to get a supercharger after all. Now I get to do some research and decide just how crazy I want to get with it. 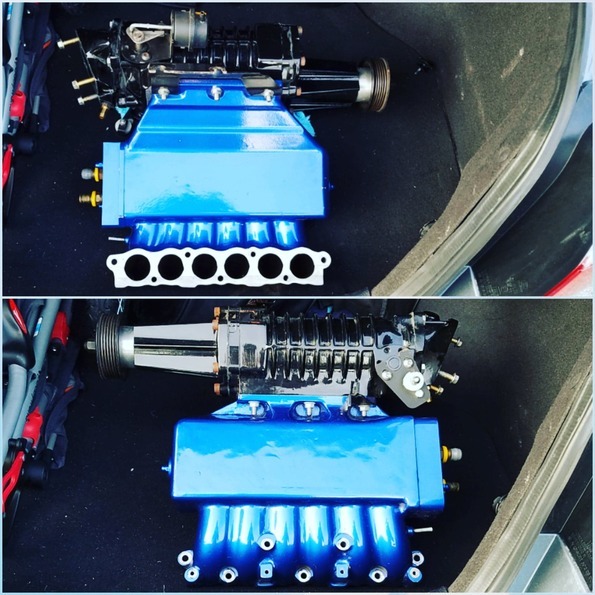 Just bolt it on and go, or try to squeeze a few more horsepower out of it? I don't want to replace the cam or anything like that, so there are limits to what I want to do. This should be a fun spring project. I am willing to do it myself if I don't have to take off the damned headers. Looks in good shape. 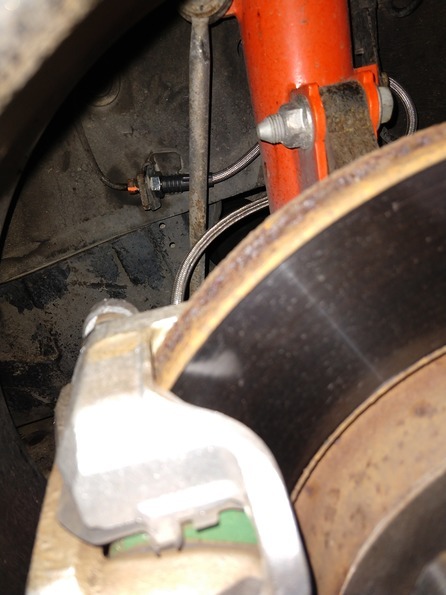 How do the rotors look. That's got be the cleanest alpine mani and blower I've ever seen! I am debating whether to follow through with the supercharger. The radiator for the intercooler arrived yesterday, which means I have everything other than coolant hoses and maybe some brackets. But I am feeling some trepidation... I really don't want to risk damaging my car. For every four people saying "It's just stage 1, it's super safe!" there is one person saying "It will kill your car sooner rather than later, and require constant maintenance and $$$$$$." I've spent around $2300 so far, including the supercharger, intercooler parts, shipping, and whatnot. I won't get that back if I sell it (not even close). But if I wind up damaging my car, costing me however many hours and thousands of dollars in repairs, I will not be winning any popularity contests here at Castle Blackmoor. So maybe selling it all at a loss would be the path of least pain. Last edited by bblackmoor; 03-06-2019 at 05:43 PM. Stainless steel brake lines are in! Drove to Walmart and back, and all is well. Last edited by bblackmoor; 03-06-2019 at 05:39 PM. I read as much as I could about superchargers, and I decided that I am just not brave enough to put one on my car. So I sold it. There is a difference between planning something and actually doing it. Last edited by bblackmoor; 03-19-2019 at 10:46 AM.